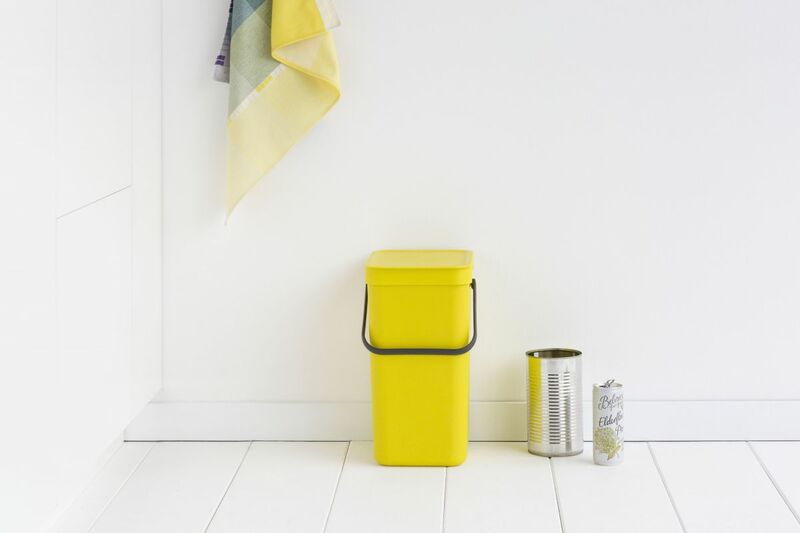 This good looking bin is part of a collection of Sort & Go bins from Brabantia. It is perfect for organising your recycling, whether it be bottles, cans, packaging, paper & cardboard or anyhting else that needs to be sorted. The sturdy handle means you can move the bin easily, and its size means it can be stored in a kitchen cupboard, as well as on the floor, or stacked with other Brabantia bins. It comes with a wall-mounting which is easy to attach to the wall or inside a kitchen cupboard, and it has a stay-open lid that won't fall closed on you when your hans are full. The lid is a good fit to keep in any smells, and it also comes with 10 free compostable bin liners to get you started. The bin liners are held in place by a special plastic rim that keeps everything neat and tidy, and the bin even has a little grip at the back to help make emptying even easier. And, because it's Brabantia, it is strong and reliable and therefore comes with a 10-year guarantee too!